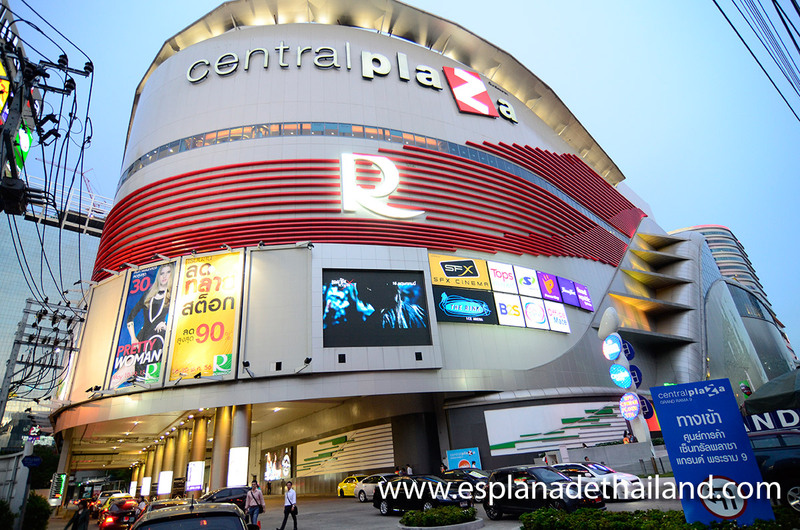 Shopping on Ratchadapisek Road has become very popular after Central Plaza has been opened next to Rama 9 MRT station opposite of Fortune Tower known for it’s IT City outlets. Central Plaza hosts many boutique shops and a Robinson’s department store. Of course there are many food and beverage outlets, climatized cinemas and a cool Starbucks Thailand store. It’s all just one station away by MRT. MRT station “Thailand Cultural Center” is located right beside the Mall’s entrance. Use exit 3 or follow directions to Chinese Embassy. Esplanade can easily be reached by public transport. Most Bangkok bus lines frequenting Ratchadapisek Road stop right infront. Most popular you can reach Esplanade Mall by using the metro. MRT is Bangkok’s subway system running from Chatuchak Park in the North of town all the way to Hua Lamphong, the capital’s main railway station. 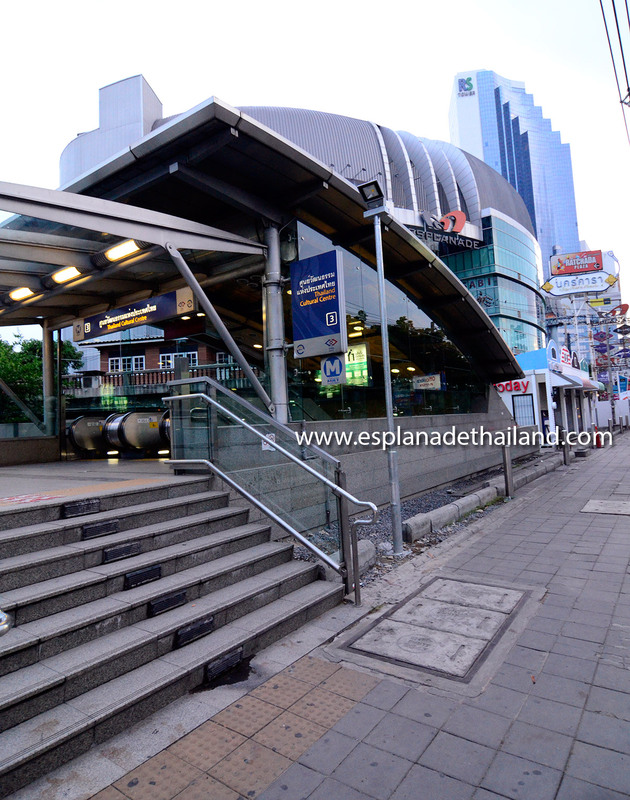 Esplanade is next to MRT station “Thailand Cultural Center” between Soi 5 and Soi 7. Next landmarks would be construction of AIG building and RS Tower. Most taxi drivers will know where to find the mall without issues as it is very popular among Bangkok citizens. The MRT station has different exits. The one leading to Esplanade is Exit 3. Once outside look to your left and see the mall shining at you. The street right before the mall to the left leads straight to Rot Fai Train Night Market. Left hand side behind Esplanade Mall there is one landmark: Amanta Residence. It’s a park of 5 buildings up to 7 stories high that are surrounding a beautiful landscape of gardens and swimming pool. It’s facilities include a Cybex fitness gym. Amanta Residence is partly operated as a hotel, serviced residence and privately owned residence. 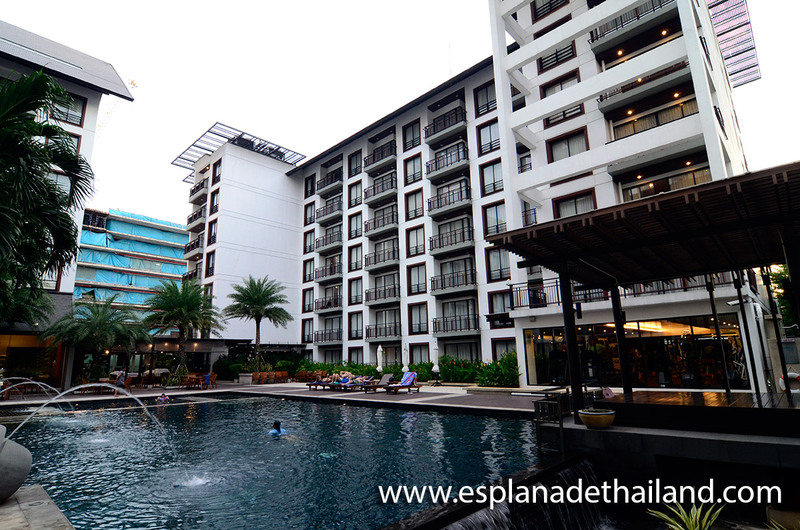 It’s superior location and fine architecture make it one of the most upscale places to live on Ratchadapisek Road. Most units are two-bedrooms condominiums with large windows, balconies, wooden floors and walk-in closets. Most hotel units are one-bedroom apartments. Hotel rooms average up to 3000 Baht per night while residential rents run anywhere from 30k Baht for unfurnished apartments to 90k Baht for serviced three-bedroom units.